5 Easy Pot Roast Crockpot Recipes - Instant Pot-Friendly and Delicious! 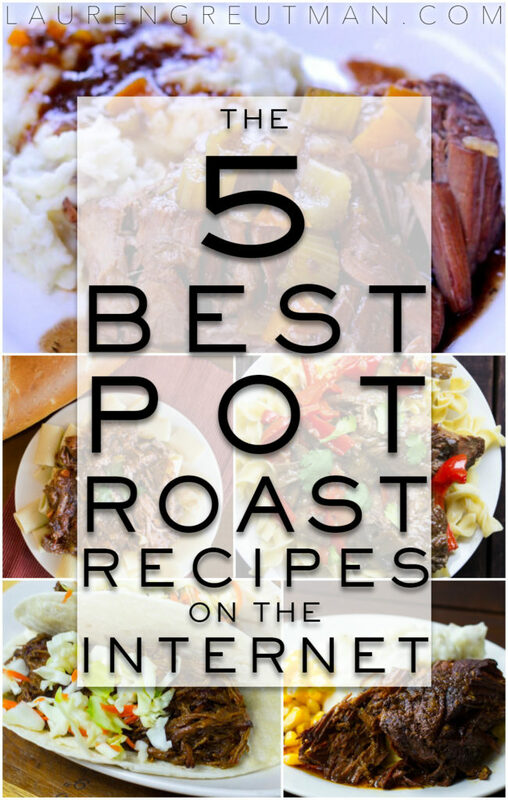 If you've been following this website for any length of time, you might know my love affair with the Pot Roast. And Pot Roast in a Crockpot? It's a match made in heaven! It's cheap. Regular price, it's around $5 per pound. But you can often find it on sale for $3-$4 a pound. It's tasty. It has such a robust and beefy flavor. This is why aromatics work so well with it… you don't need a ton of extra flavor to make it amazing (although it doesn't hurt sometimes). It's fall-apart-tender. But only if you cook it right. This is a cut of meat that must be cooked slowly in liquid – which is why the crockpot works so well for pot roast. I've cooked pot roast so many ways, done research, created my own recipes, and tweaked these Pot Roast Crockpot recipes until they were all melt-in-your-mouth, fork-dropping delicious. There's a little something for everyone here and you will NOT be disappointed. And all of these pot roast crockpot recipes are easily convertible to your instant pot. 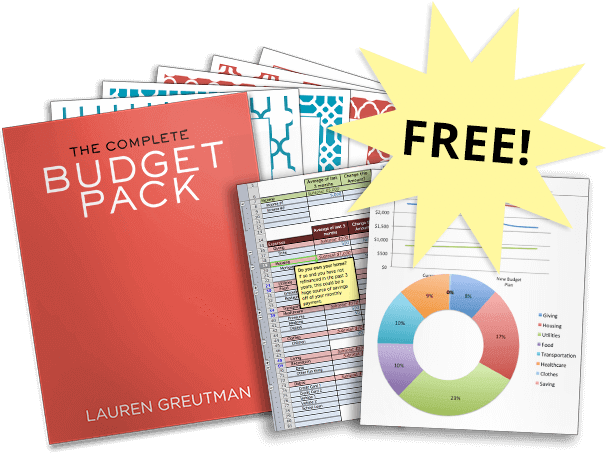 They are all super easy to prepare! These are not in order of awesomeness, cause they're all awesome. 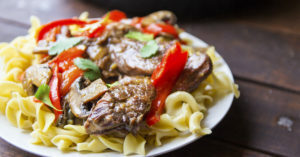 If you love a good pot roast but are looking for a new twist on it, you've got to give this Asian Pot Roast a try! Instead of carrots, potatoes, and the usual aromatics, we are gonna use ginger, soy sauce, mushrooms, red peppers, a touch of honey, and garlic. And instead of serving with potatoes, this is served over egg noodles. There's hardly any ingredients in this, but that's not a bad thing! Balsamic, Honey, Garlic, a touch of soy sauce – You will not be disappointed! Serve it with mashed potatoes, your choice of vegetable and dig in. Savory, a little spicy, and a little sweet, you will LOVE this. This Texas Roadhouse Pot Roast is PACKED with flavor. There will NOT be leftovers with this one. Basically, the only work is to chop the vegetables. After that, you just kinda throw it all in the crockpot and turn it on. 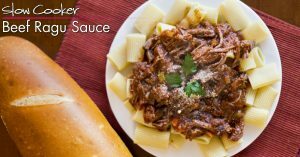 When the venerable chuck roast meets Italian food, you get this Slow Cooker Beef Ragu Sauce. 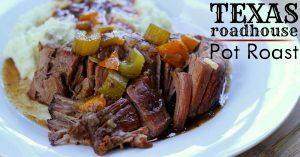 If you LOVE Italian food as much as I do, this is the pot roast crockpot recipe for you! This will make your entire house smell AMAZING all day while it cooks. 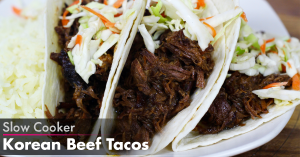 Taco night just got a massive upgrade with these Slow Cooker Korean Beef Tacos. You will be making these more than once, I promise. I suppose the most amount of work you will have to do with this is to cut up the ginger. I've made this several times, and it's never been too spicy for me or my kids. If you're a fan of these Pot Roast Crockpot recipes or ANY crockpot meals that are actually good, you're in luck – Here are 40 more Crockpot dump recipes – You're gonna want to bookmark this page! 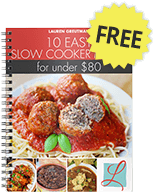 In case you didn't know, I also have entire Slow Cooker Freezer Meal Plans where you can prepare 20 meals in one afternoon. They are delicious and well worth your time and money. 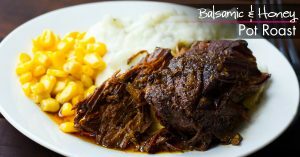 How about Mississippi pot roast? Dredge chuck roast in flour and massage it into the meat. concoction over and place 1/2 stick of butter on top. Remove from crock pot and shred meat. * I do mine a little differently. I add a can of beef broth to what comes from the roast. In a sauce pan, I thicken with corn starch like a gravy and then pour over the shredded meat. Directions say to serve it over noodles but you can’t beat mashed potatoes, either.